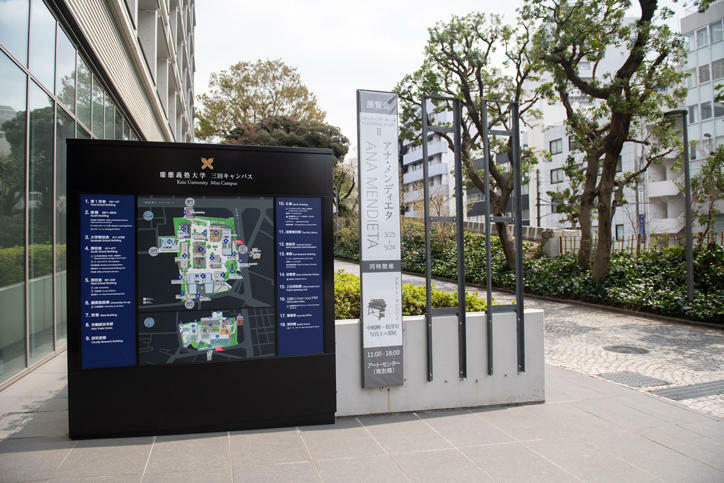 The outdoor signs and signposts on Mita Campus have been completely updated. 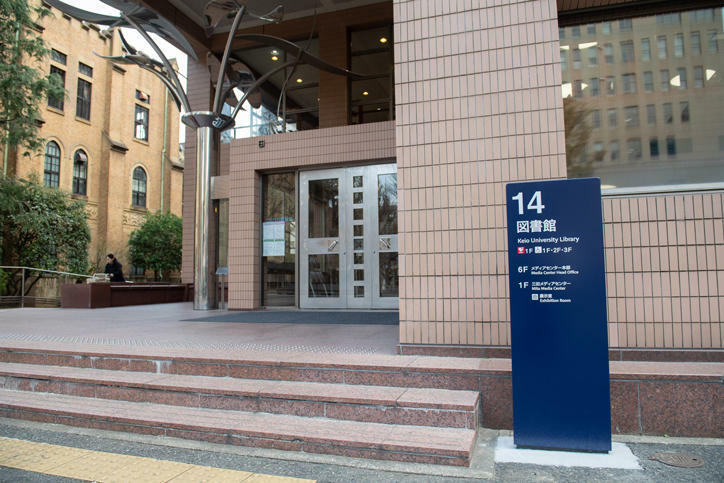 There are three types of signs and signposts: entrance gate signposts, intersection signposts, and building signs and signposts. 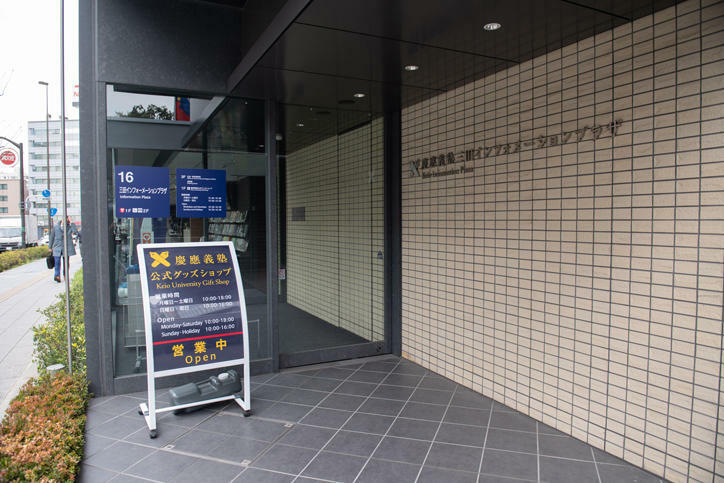 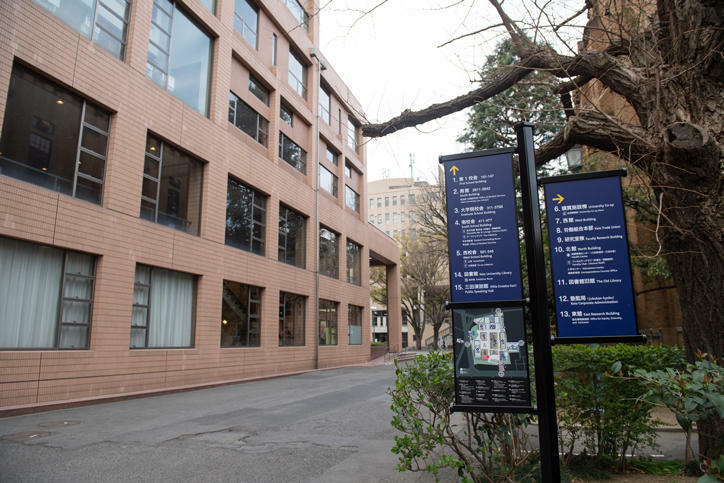 Keio’s brand color, navy blue, is used as the basic tone of the signs and signposts, and their design is intended to harmonize with the campus scenery. 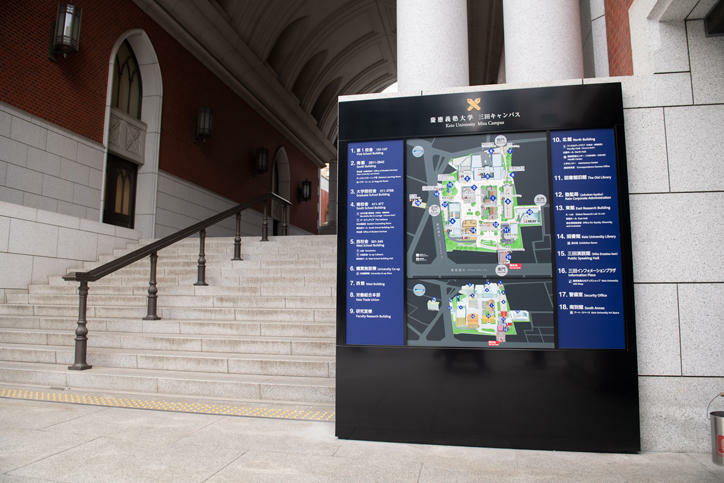 On the entrance gate signposts, a bird’s-eye view of the campus is provided together with a campus map seen from directly above to make it easier to get an image of how to arrive at destinations. 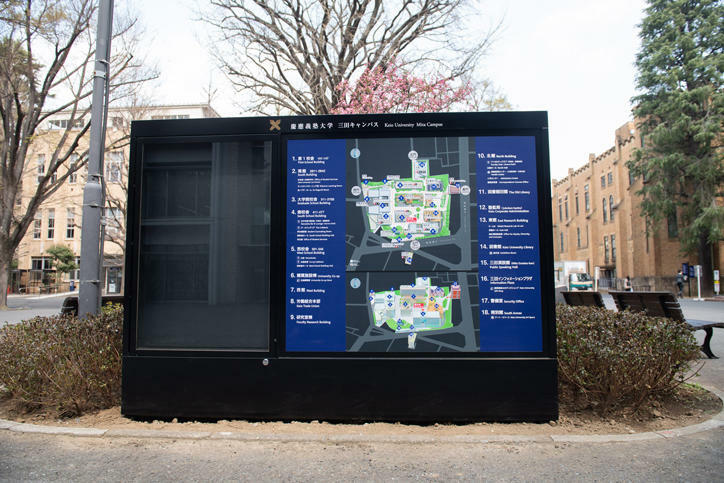 In addition, place names are given in English, and the signs and signposts use inscriptions that take universal design into consideration, making them user-friendly for a diverse range of visitors.